The Easy LunchBox system pairs food-safe reusable lunch containers with roomy cooler bags. The hard plastic, 3-compartment containers are lead, vinyl, and BPA free. Both dishwasher and microwave safe, they are quick, easy, and reusable! 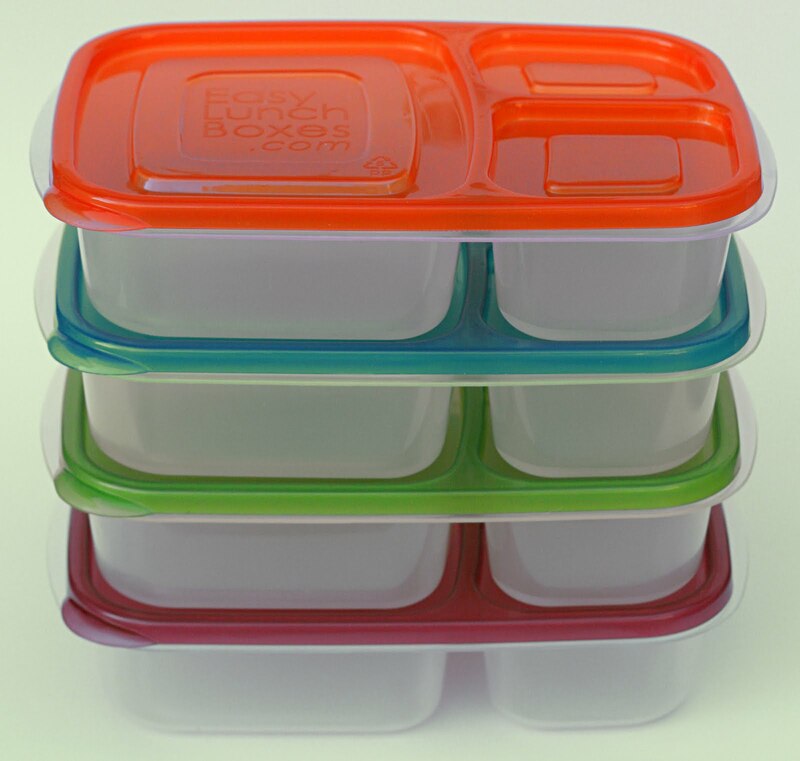 The containers come four in a set and nest together for easy storage. There is one large compartment, sufficiently sized of a sandwich or a main dish of your choice, and two smaller sized compartments for side items. My kids like to fill them cut apples, grapes, or crackers. 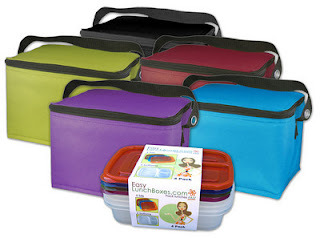 The Easy LunchBox system also offers an insulated coller bag in 5 different colors! They measure 9"x6.5"x6.5". They are the perfect size to carry up to two Easy LunchBox containers and a drink or ice pack OR 1 container, a drink, and a larger side item like a single serving bag of chips or a yogurt! They are sturdy, machine washable, and have a long carrying strap that make it easy to manage, even if you have other things to carry, like a backpack! 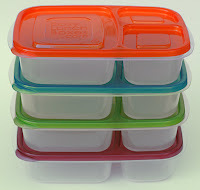 Easy LunchBox containers come 4 to a pack and only run $13.95. The insulated lunch bags run $7.95 each. Along with being provided a set of my own, Easy LunchBoxes is offering up a set to one lucky Only Parent Chronicles reader, OR you can order you own HERE! This giveaway is offered to US & Canadian residents only. Please do not enter this giveaway if have won or received free product from EasyLunchboxes within the past 3 months. To enter: Visit Easy LunchBoxes, then in the comments, share with me one neat fact you learned about the product! This giveaway begins 9/17/10 and will close on 9/24/10 at 5:00 pm CST. Please leave a comment for each entry along with a valid email address. Winner will be chosen randomly and notified via email. Due to popular demand, Easy LunchBoxes container sets are currently back ordered until October. Winner's product will be shipped once product is is stock. All images courtesy of Easy LunchBoxes. I have been eyeing these bento lunch boxes for awhile now! I love that the are eco friendly and BPA free! I love that they are both dishwasher and microwave safe. I learned that they are sold out of containers until OCT!! Very popular! I learned that the lunch boxes nest inside each other when not in use to save space. I like that they are dishwasher and microwave safe. I like that they are microwave safe. My favorite part is they are dishwasher safe. I like that when opened everything is still in the compartment that it was originally put in. I learned that they contain No BPA, Lead, Vinyl or PVC. I learned that the plastic is BPA-free. 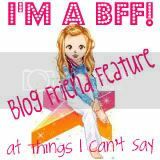 I follow them on Twitter (mail4rosey). They are space saving lunch boxes because they nest inside each other when not in use. One neat thing I learned is you can remove odors from a lunch bag by placing inside, a plate w/a slice of bread that has been soaked in white distilled vinegar. Zip and leave overnight. I Like Easylunchboxes on Facebook user Lisa Garner. I'm following EasyLunchboxes on Twitter user lisalmg. 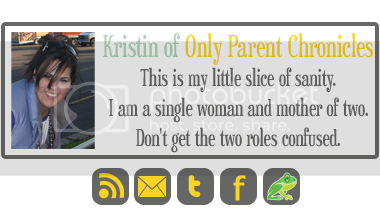 I Like Only Parent Chronicles on Facebook user Lisa Garner. I'm following That_One_Mom on Twitter user lisalmg. I love that their products are BPA free. I like that they're microwave safe! I learned to remove odors from a lunch bag by placing inside, a plate w/a slice of bread that has been soaked in white distilled vinegar. Zip and leave overnight. Remove odors from a lunch bag by placing inside, a plate w/a slice of bread that has been soaked in white distilled vinegar. Zip and leave overnight. They are both dishwasher and microwave safe. I learned that they are made from FDA-approved, food-safe polypropylene.